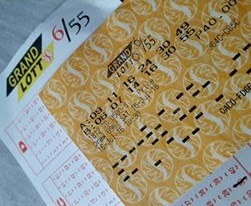 Remember Me: What To Do If I Win The Lotto? I know I can’t stop people from betting on lottery, and I won’t belabor you with how small the odds of winning are (like you’re more likely to get struck by lightning than win the lotto). But still hardworking Pinoys decide to part some of their hard-earned money with the hope that Lady Luck or Divine Intervention will smile on them someday. Work hard, pray harder. As to why Pinoys do this, here’s my old article about it (mindset that it is simple and easier to understand than “investments” which are “only for the rich”, smaller amounts needed, bigger gains, doesn’t care about the very small odds). Or maybe just a force of habit. Let’s face reality and try to help those who ardently and religiously bet on lottery. To be clear, I’m not encouraging anyone to gamble, but I’m just saying Filipinos will bet on lotto no matter what we say against it. So might as well help them, should they win. I enjoin you share this article to die hard Lotto bettors out there (and other gamblers), in case they win one day. Hopefully they will not squander it, and instead make it a tipping point in their life towards financial freedom. I myself bet on lotto maybe 10 times year, just for the fun of it, not really expecting any amount in return, but who knows right? I sometimes picture myself winning a huge jackpot, and here’s how I imagine myself handling the huge windfall. As soon as I win, say PHP200M, I will relax. Don’t get a heart attack. Palpitate, fine, shout, fine, fist pump, jump but try to take deep breaths. I will not quit my day job! Not yet. I will not broadcast it to neighbors and relatives, maybe just to my wife (of course the boss should know, and besides I need an outlet right?). I will relax, and take as long as it takes to let it sink in. I will neither panic nor treat everyone to a sumptuous feast. Not yet. Cool. Calm. Behavioral economists say that we are not equipped to properly handle huge windfalls of money, that’s why many past winners end up poorer than before they won a huge amount. That’s why many celebrities or athletes who hit big paydays end up in deeper debt as soon as the fame and money runs out. So relax. Don’t rush into spending it. You’re a money manager now. Of course I will claim the money maybe after one week perhaps, assuming I can sleep well at night thinking about it. I think the PCSO offers an option wherein you can draw the amount in one lump sum (subject to taxes) or in installments throughout a certain period of time. With PHP200M, I would think drawing it in 5 to 10 installments over 3 years is not such a bad idea, instead of getting the PHP200M outright. At least, that’s guaranteed cash flow for me over the next few years. I also wish PCSO has a personal finance seminar to all winners, so they can have an idea how to spend the winnings wisely. Then comes the budgeting part. Of course this is a personal finance site, so the first order of the house is to repay all loans. Mortgaged house, vehicles, even credit card bills and loans from friends. Repay all debt. Pre-terminate all debt. Zero debt. Then I’ll set aside an amount, invest it in a fixed income instrument, such as bonds and T-bills, that I can live on its monthly interest, as passive income. With going rates right now, I’d probably need 20M for this alone. I can diversify, visit many banks and open UITF, corporate bonds, buy preferred shares etc. Bottomline is I will invest in many instruments. I will not just park it in my savings account, but invest it. If I have kids, I will set aside an amount for VUL or trust fund, for education tuition, for each child. Secure the health of the family, get a much needed check-up / operation. Secure my retirement funds. I’ll also be on the lookout for business opportunities. Probably not a Jollibee franchise since it’s too costly, but something of lower entry cost, like Greenwich, Mang Inasal, or various food carts in malls? Siomai, potato corner, shawarma! Visit banks for foreclosed properties and start an apartment rental perhaps? Buy a farmland in the province? Buy some vehicles for Uber / GrabCar? Or UV Express, Taxi etc? Set aside some amount for stocks trading. Conceptualize a new app and have developers create it. The key is not to be haphazard investing in every likeable businesses left and right. The key is to relax, make smart choices, and enter businesses that you know you can manage. I will include in my budget tithes for the church (or a donation in kind such as expansion, renovation, new pews etc), and of course balato for my relatives. I think most winners start with thinking about the balato, which shouldn’t be the case. My wife and I used to discuss this, and our idea is to give every sibling, parents, uncle and aunt on both sides at least PHP1M per family (if you know our family you’ll know that PHP1M is already a big amount). Or it depends on you how much the amount will be. But I will not just give it to them. Not so fast. There’s a caveat. One, they will swear never to borrow money from us again, since they already got PHP1M for free. Two, they will need to submit to us a simple financial plan on how they plan to use the money. If we don’t like it, they will have to revise it. Better yet, we’ll say each one has a budget of PHP1M, then they will propose what we can purchase or do for them in kind (i.e. pay loans, small farm, piggery, a tricycle, trust fund for their kids, etc). Three, they will sign a non-disclosure agreement to keep us safe. Hehe. Another dream is to set up a scholarship foundation. Similar to personal investments, may be set up a trust fund such that the principal is perpetually invested while regular interest is paid out, for allowances of select students, or if investment return is big enough, for their tuition and fees. I believe in the power of quality education, much more if its free quality education through scholarships just like what my wife and I got. It gives the students a stronger sense of responsibility, not just to the benefactors, but more so to their immediate families since this is their step one to a better financial standing and eventually, financial stability. If you’re not a fan of education then there are other organizations and institutions out there. Kids, poor communities, house build, abused women, etc. Key here is use the lotto winnings in doing good in the world, with a multiplier effect. Imagine how many lives you can change, lives who can’t repay your kindness? So they can say, finally Lady Luck and Divine Intervention smiled on them too, just like what they did to you. The problem with employed Pinoys who get annual salary increases is that the upgrade in lifestyle is way faster than the increase in income. Same for lotto winners, it is not such a bad idea to upgrade one’s lifestyle, as long as the upgrade does not use up all of your winnings. And as long as the upgrades are not dead-end purchases with no appreciating value. That’s why we invest. Since you’ve paid off your mortgage, maybe you can move to a slightly bigger house, or in an area more proximate to your jobs? Then rent-out your previous house. Key is to pay these properties in cash so that you don’t get yourself into a new loan. Get a simple vehicle perhaps? Move your children to a better school? By this time you should be wise enough to compute how much the upgraded life will cost, and whether you can sustain it for the long run. Upgrade, yes, but not too much. Don’t use up all the money on gadgets, appliances and material things. Keep it simple, don’t change your attitude towards others and towards money. Don’t be a stranger. Finally. Treat your family, go out of town or out of the country for a while. Shop but within a very limited budget. Buy memories and great experiences. Treat your friends to a nice feast, gifts or give them smaller amounts too. But don’t party too hard. Winning the lotto is a once in a lifetime opportunity (to most people not even once), so don’t squander it, and make sure the money works harder and longer, day and night, than you do. Whoah, lots to do. Seems like PHP200M is not such a big amount after all. Again, please remember these (and me) if you win the lotto. Now where’s that lucky combination I’ve been betting on? Bottomline spin. If you think about it, Juan doesn’t have to win the lotto, just to have a responsible and disciplined approach towards money. Any Juan of us who get cash windfalls (bonuses, unexpected winnnings, etc), or even our monthly salaries, should always be relaxed enough to invest and spend the money wisely. Share this article to a friend who’s an avid bettor. Follow us on Facebook, Instagram and Twitter. Subscribe to our growing email base for free to get quality personal finance articles straight to your mailbox. Or why not try investing and growing your money the smarter way? Slowly but surely. Here’s our #10Steps to a Richer Life book. May we all have richer lives, regardless if we win the lotto or not! Thanks for the insight Rich.